If you are a senior citizen, you probably want to live in your own home. Being sent to a nursing home seems like the worst possible thing for you. However, the prospect of living alone can be just as frightening when a fall could turn into a medical emergency. If you are stuck between these two options, you may want to consider getting a special health monitor for seniors which is specifically tailored to the needs of seniors. Modern-day medical alert systems can make life safer for older adults and more peaceful for their loved ones. According to experts, tripping and falling at home is the main cause of injury-related death of people over the age of 85 [source]. It is also the main cause of hospitalization due to injury. Which options to choose depends highly on you or your seniors individual needs. Very common is the so called Personal Emergency Response (PERS) button. If something is going wrong just press the PERS button on your wristband and your family or your healthcare company will get an instant notice. Many devices offer the possibility to send you an alert when activity is too low. Some even are so smart to learn the habits of its wearer and notice you if something gets different. Fall detection will send out an alarm if the wearer falls because of the high impact forces it notices. Devices with Medication alerts will send out notices to you or your family if you forget to take your daily medicine. Some GPS trackers for sensiors provide geofencing technology. Geofencing alarms you when the tracked person moves into or out of a predefined area. There are countless options out there if you want to get a health monitor for yourself or an elderly loved one. With more and more fitness and wearable devices coming to the market it is difficult to get an overview. Thus we’ve made a list of the best health monitors for seniors with the best features and price performance ratio. 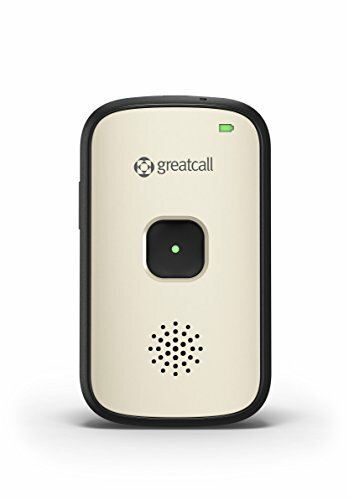 The GreatCall Splash is a waterproof alert device with GPS and enables the user to communicate with emergency services in case of an accident or in any other situation where they might need help. Another health monitor for seniors offered by GreatCall is the Jitterbug Flip. The Jitterbug is a simple cell phone with a medical alert button. Because it is especially designed for elder people it has large buttons, large text and a powerful speaker. The large 5.5" touchscreen makes it even easier to read. Award-winning, 100% U.S.-Based customer service and Tech support. Turn your Phone into a personal safety Device with exclusive Health and safety apps. And the third health monitor from GreatCall is the so called Jitterbug Smart. 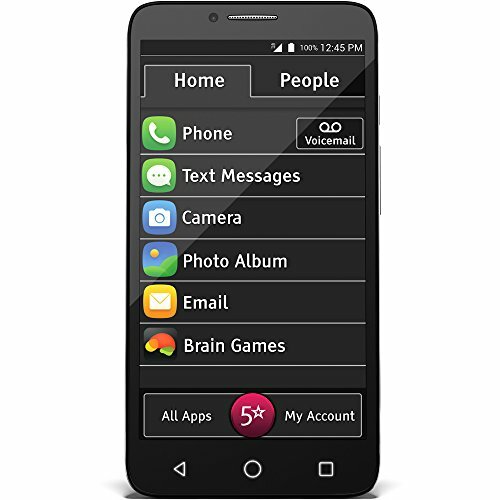 Because is a modern smartphone it will stay up to date with the latest apps. 5Star service will immediately connect the caller with professional and trained agents who can help in an emergency. No matter if you would like to stay connected with your family or friends, or get reminders on your prescription schedule: the Jitterbug Smart will be your daily support. Bigger screen and larger buttons. 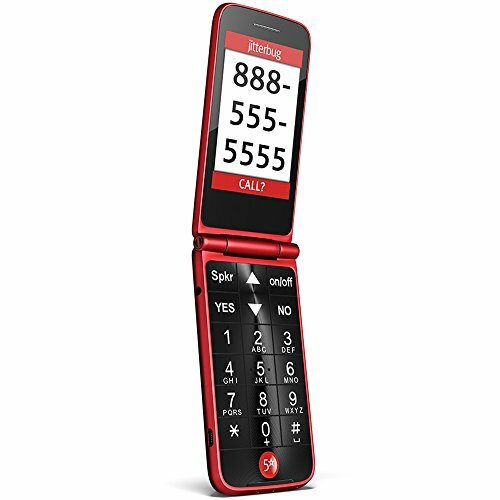 Large, legible numbers and backlit keypad make dialing effortless. No contracts, no cancellation fees with plans as low as $14.99/month and a 30-day money back guarantee. The dedicated 5Star button immediately connects you to a highly-trained Urgent Response Agent who can help in any situation and emergency. Next health monitor we would like to mention is the CarePredict Tempo. 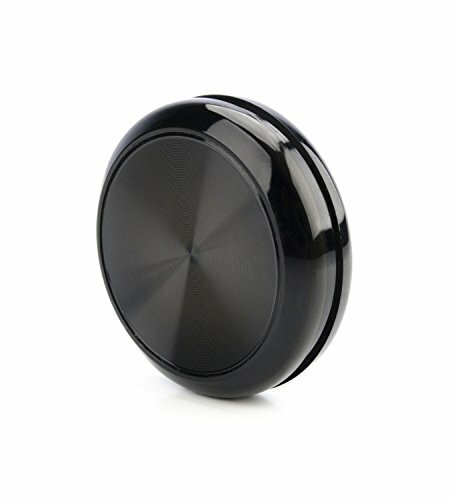 It is a smart device that learns the user’s daily routines. We monitor individuals, not rooms and things. Given that, caregivers are alerted by the CarePredict tracker if there are deviations from the norm. Home sensors help to understand where the activity is going on. Health care staff can take a quick look to app the dashboard and see who is not very active today. Moreover residents can push the call button and can get concierge-level services with the band. Lively is a waterproof safety watch with a big time display. Moreover it has got an emergency help button, provides step counting, and an extra safety feature for use in potentially dangerous rooms like bathrooms. Another useful feature is the medication reminder. With additional Lively sensors that you can attach to the fridge, the pillbox or maybe to the front door you always will know when something may be wrong. The Sensara system is based on several small sensors that can be situated in various rooms. Sensara assists and encourages seniors to stay independent at their own homes. With the help of the Sensara system health data is shared with a smarthone app.Thus enabling relatives to notice changes in activity such as more time spent in bed. For example Sensara can monitor bathroom visits, sleep, going outside, kitchen visits and walking speed all at the same time. Healthsense features wireless sensors that are placed throughout the home to monitor typical daily activities. The device sends alerts via email or phone when something unusual happens, i.e. the person goes out at night. V.ALRT is a small waterproof device with a panic alarm and fall detection. It connects to a smartphone via bluetooth. If the alert button is pressed, three people (pre-chosen) will be texted for help and informed of the user’s location. 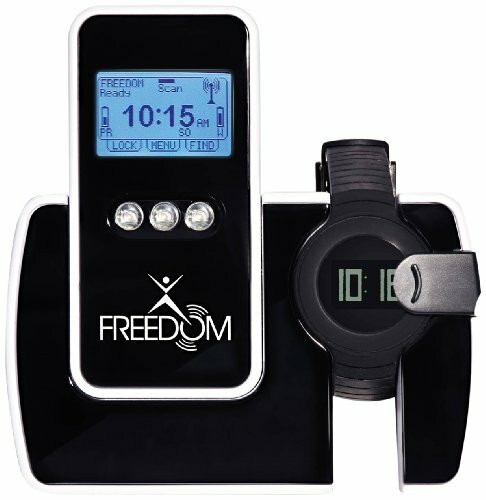 The LOK8U Freedom is a wander prevention device suitable for those suffering from diseases like Alzheimer’s. The device is worn on the wrist like a watch and features a panic button and a high-accuracy GPS locator. 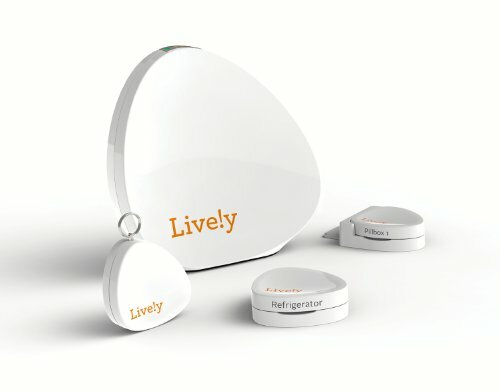 ActiveProtective is a unique health monitor for seniors, albeit being still in development. The idea is smart clothing that will feature fall detection and built-in airbags as a safety feature. Thus the airbags will be positioned near the hip to prevent hip fractures. The Preventice BodyGuardian can monitor mobile cardiac telemetry (MCT) and cardiac event monitoring (CEM) to automatically detect and capture data. The sensor streams data to a cell phone, which then uploads it to the web-based platform of the company where it can be seen. However, a doctor must prescribe this device. AdhereTech is pretty much unique in that it enables you to check for example whether your grandfather is taking his medication regularly. To sum it up, the pill bottles are equipped with a wireless connection and you will get an SMS alert if a dose is missed. However, this device is still in its clinical trial stage. The Amulyte is an activity-tracking, fall-detection device worn around the neck. Moreover it monitors how long the person is active and how intensive the activity is on a daily basis. You don’t need to have a cell phone for this device to work, and it functions anywhere as long as there is cellular coverage. There is also an easy-to-use Help button. The Bay Alarm Medical Alert System gives the wearer 305 m “wiggle room” in any direction without falling out of the range of the console. Moreover the device works when you’re outside the home as well. It can be worn as a necklace or wristband and the battery backup lasts over 30 hours. For an extra monthly fee you can get smoke and fall detection. Its large help button is easy to press in the event of an emergency. Another advantage is that the company only charges a monthly fee and you can cancel the service whenever you want without having to pay early termination costs. Additionally their services are offered in 170 languages. Alarm.com Wellness is a smart monitoring healthcare solution. It provides insight data to family members and healthcare members. With information like “time spent in bed”, “inactivity time” and the additional real time alerts you always know if everything is ok with your parents. Next one we would like to be mentioned is the LifeFone Personal Response Service which offers coverage of 480 feet (146 m) in all directions. There is the option to extend this range to 1000 feet at no extra cost. Furthermore the device is waterproof and comes with a removable belt. The Medical Alert Classic Guardian allows the wearer to move 400 meters in all directions and can be worn on the belt, neck, pocket or wrist. Moreover it is equipped with GPS, fall-detection technology, and sensors to detect extreme temperatures. Thus this tracker for seniors can be quite useful in the case of a fire because emergency services are contacted at once. As you have learned, there is a wide variety of tracking and health monitor for seniors which are unique to the health and lifestyle needs of seniors. Additionally monitors with fall detectors will contact emergency even if the person is unconscious, confused, or embarrassed to call for help. Moreover wireless technology allows them to work outside the home as well.